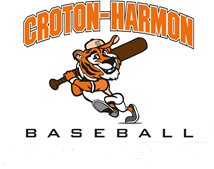 The Croton Harmon Varsity Baseball team has a long standing tradition of excellence. Each late winter the Varsity Team heads down to Florida for training and to play regional rivals. The Baseball club thanks all Tiger Baseball Supporters for helping cover the cost of this excellent opportunity. Thank you to all of the Community Members who signed up for the Baseball Clinic. Registration is now closed!